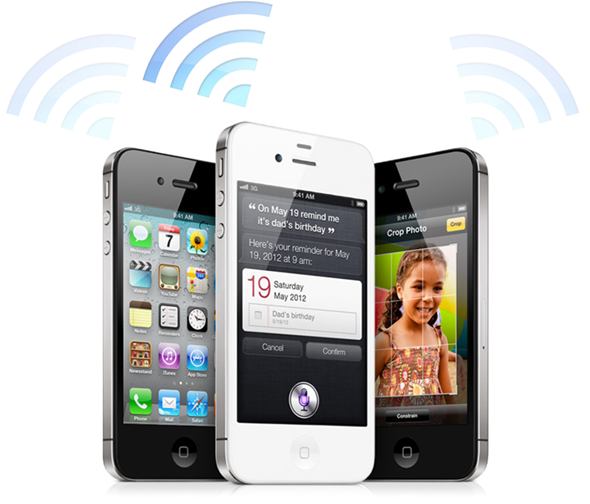 What If Apple Decided To Really Take On Carriers With Wi-Fi Calls? If iMessage has changed the way SMS is handled by both customers and carriers, what would happen if Apple did the same thing to the voice calling system? There was no doubting that Steve Jobs was no big fan of carriers. In fact, we have a sneaky suspicion that he had more than a few run-ins with some of the big wigs at the likes of Verizon and AT&T. With iMessage, Apple has potentially taken a big bite out of the revenues of smartphone carriers. Previously, customers would stump up the cash for a texting plan, usually with a finite number of messages available and extortionate fees should you be brave, or daft enough to overstep your limits. With iMessage though, Apple changed all that. Now, instant, SMS-like messaging is free and most of the time, it works. Add in the ability to send iMessages from iPads and Macs, and the new messaging system looks to have killed SMS once and for all. Even if SMS is still in the midst of its death throws, we’re willing to bet that carriers have seen a reduction in income from message bundles. All this leaves us to wonder what would happen should Apple simply decide to bypass carriers once again. We’ve currently got FaceTime which, should Apple decide to make work with a 3G connection, could begin to change the way we communicate. That’s all well and good, but what if Apple decided to really grab the bull by the horns and hit the carriers where it really hurts: calling minutes. Apple reportedly wanted to bypass carriers when the original iPhone was in development. Set to use a Wi-Fi network for calls and messages, Apple’s system never got off the ground and we are still stuck with carriers that, in all honesty, seem to think they are doing us a favor by taking our money. So, Wi-Fi voice calling, ala Skype, could potentially change the way carriers handle smartphone users once again. Throw in 3G calling – pay your carrier for unlimited data but no calls or SMS – and things really get interesting. But Skype already does this and it’s not really taking over? True, but Skype isn’t Apple,. There were instant messaging apps like WhatsApp out there long before iMessage, but look how popular that is now that it is built right into the way iOS handles messages. Do the same with calling, and all bets are off. Whether Apple would ever do such a thing, we’re not really convinced. But that’s not going to stop us from contemplating.